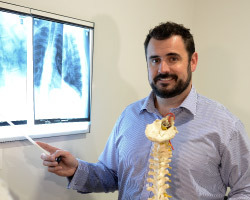 Our chiropractor, Dr Peter Burt, truly cares for his patients and looks forward to helping more people in the southern Tablelands region. 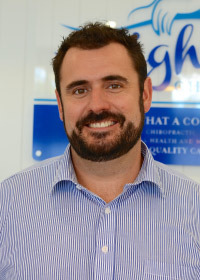 Dr Peter Burt (Chiropractor) has a sporting background which led him into chiropractic. In his early twenties he played competitive rugby in Western Australia, before signing a contract to play for Chicago. Taking part in national games took Dr Peter all across the US and when playing a game in Atlanta he was asked whether he would like to take up a scholarship at Life University to study chiropractic while continuing to play rugby. During his time at Life University, Dr Peter thrived on the challenge of balancing his studies with being a full-time athlete. Even after leaving college, Dr Peter has continued to expand his knowledge and skills. He regularly attends technique and research seminars to keep up-to-date with the latest advances in chiropractic. While he has a special interest in paediatrics, Dr Peter enjoys working with clients of all ages to help their recovery. He particularly enjoys getting to know his patients. Coming from a large family, Dr Peter grew up in The Sutherland Shire in Sydney. In his spare time he enjoys sports and outdoor activities, and is involved with the local rugby team. He also likes spending time with his family, including his nieces and nephews, who along with his other relatives receive chiropractic care from him. Make an appointment with Dr Peter today or call our Highlands Family Chiropractic to learn how we can help with the musculoskeletal needs of your family.